Make It HappenIs ‘Teen Beach 3’ Actually Happening Or Are We Just Going Surf Crazy? It's the question all us Disney Channel Original Movie fanatics have been asking ourselves for years: Is there going to be a Teen Beach 3? Well, let's put it this way – it's as complicated as Brady and Mack getting transported into an alternate sing-a-long universe. But probably no. The first sign of hope that we may just get a third Teen Beach Movie started when Garrett Clayton said that he and his co-stars would totally be on board if a third film gets announced sometime in the future. He also even had his own personal ideas about what the plot should be. "I always say it depends on the script and the story you're going to tell. I think we've all kind of said if it’s a good script, why wouldn't we want to make it?" Garrett said in an interview. "I have my own personal ideas of what it should be, but that’s just me." So what about leading cutie Ross Lynch? He's a no. "Obviously like people talk of it – but, you know, not amongst the actual people who made the movie. There's been no talk of it. I personally don't think that would happen, unless there was like a different cast and it was like a reboot. Then, I could see that happening," he told Entertainment Tonight. Ross is on the fence about returning to Disney Channel in general, as a matter of fact. 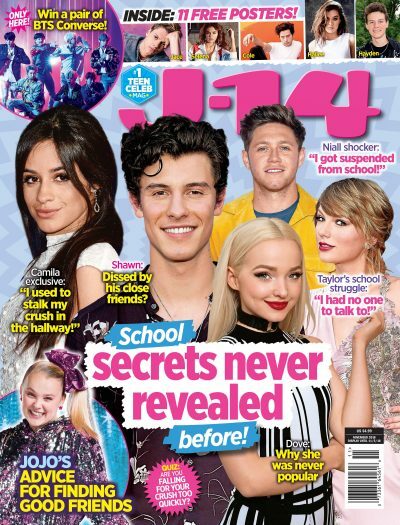 Now that the Austin & Ally chapter of his life has come to a close, the actor has been focusing on some more mature roles – along with touring with his band R5, of course. Seriously though. One moment he's all, "I wouldn’t say that I’m going to do another Disney TV show." But in another interview, he's like "If Disney would take me, I’d love to go back." He's clearly torn – as is his co-star Jordan Fisher. In the midst of his Dancing with the Stars schedule, we caught up with Jordan at the Super Mario Odyssey for Nintendo Switch launch event – and he revealed that a third film probably won't happen unless it happens way into the future. "I think it's safe to say no to a Teen Beach 3. It's something that I definitely would be open to developing at some point in time down the line. It's kind of hard to say. For right now, at least, I think the chapters are kind of moving forward in that world and that realm for everybody where everybody's kind of doing their own thing." Makes total sense – but hey, never say never! The actor continued, "We all still very much keep up with each other, especially as of late with the disasters in Puerto Rico. We lived in Puerto Rico filming both of those films and it's very, very important to us. Doing what we can to raise awareness and letting people know that drops make an ocean is something that's very important to us as a cast right now. Funny enough, two of the dancers that were in the first and second Teen Beach are dancers on Dancing with the Stars as well. We just celebrated our six year anniversary, which is kind of incredible." Maia put in her two cents as well, saying that she'd be down – but she has no idea if it'll happen. "We're as in the dark as you are, but it would be really fun— a third one would be cool!" she told People's Choice. However, that was all the way back in 2015. So has the ship sailed or is there still hope? Well, someone who wasn't in Teen Beach exclusively told J-14 that he would so be down to join the cast of the third movie. Who, you ask? We're talking Rudy Mancuso, Maia Mitchell's boyfriend IRL. "Definitely! I had to think about it, but now that I actually think about it – it would be a lot of fun. Why not?" Rudy told us. We just had to ask – what side would he be on? The surfers or bikers? Good answer! As for if he's ever watched Teen Beach, he sure has – but not necessarily with Maia. "Of course I have! Well, she runs to the other room, and I watch it. She's not in love with the idea of us watching her on the screen. I don't even think she likes watching herself on the screen – neither do I. I understand it. But it's just so fun to watch! It's a fun movie," Rudy told us. So there you have it. It doesn't seem like there are any plans for a third film as of now, but we think it's safe to say the cast would be down if the opportunity presented itself at a convenient time for everyone. This post was originally published on August 17, 2017 and since has been updated.